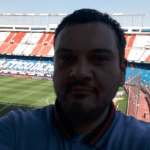 Catello Cuomo (@CatelloCuomo3) previews Burnley v Olympiakos and provides us with his best bets for Thursday’s Europa League clash, analysing team news, potential line-ups, head-to-head, key stats and facts and more. Burnley surpassed many people’s expectations in the league last season having finished 7th and earned a place in the Europa League Qualifiers. They started their campaign on 26/07 with a 1-1 draw away to Aberdeen and have since played a further 7 games and are yet to win in 90 minutes. They opened up their League season with a 0-0 draw away to Southampton but have lost both League games since, 3-1 and 4-2 to Watford and Fulham respectively. Sandwiched between these 2 losses was the 3-1 defeat experienced in the first leg against Olympiakos and it would seem that Sean Dyches men have an uphill task if they are to progress. A lot of last season’s success for Burnley was built around a tight defence and a well organised team, but in their last 3 games they have conceded at least 3 goals and kept just 3 cleans sheets. Although it is early in the season, they have had to endure 2 lots of Extra Time to progress past Aberdeen and Basaksehir and with an already small squad, this could be taking its toll. Olympiakos have made a solid start to their season having won all 4 of their games, including a 7-1 aggregate win against Luzern in the previous round. Improvements are expected for this season from the fans as last season saw them relinquish their Greek crown for the first time in 7 seasons, finishing 3rd and 13 points behind Champions AEK Athens. Christodoulopoulos made the move from AEK to Olympiakos over the summer and after 2 decent seasons with his former club, the attacking midfielder has settled in very well scoring 5 goals in 4 games so far for his new club. The first leg was dominated by Olympiakos, having over 60% of the possession and creating 3 times as many chances as Burnley. It was also a little heated with 6 yellows (2 given to Gibson) being branded by the referee during the game. Dyche wasn’t happy with the conduct of the Olympiakos players and the officiating and accused them after the game of influencing certain decisions. Tensions will be high for the return – particularly with off-field incidents that happened in Greece. Burnley will be without Ben Gibson after he picked up 2 yellow cards in the first leg. Burnley are also without Defour, Gudmundsson and Pope. Brady and Lindegaard are still returning from injuries and are unlikely to feature. The first leg tie last week was the first competitive game between the two sides. Burnley have leaked 10 goals in their last 3 games. 5 of Burnley’s 7 games this season has seen Both Teams Scoring. Olympiakos have score 3 or more goals in their 3 Europa League games this season. 21 cards have been shown in the 4 games that Olympiakos have taken part in so far this season.